The criminal defense lawyers at Arnesen Law represent clients charged with a wide variety of theft and fraud offenses, such as robbery by sudden snatching, burglary, and credit card theft, in jurisdictions including Fort Lauderdale, Deerfield Beach, and Pompano Beach. Mr. Arnesen, a retired police officer, has handled these types of cases as a criminal defense attorney for years. In fact, he was trained alongside the FBI, DEA, NYPD, and US Customs during his time as a long enforcement officer. Now, let him use that training and experience to combat your charges in criminal court in South Florida. (1) THEFT BY TAKING OR RETAINING POSSESSION OF CARD TAKEN: A person who takes a credit card from the person, possession, custody, or control of another without the cardholder’s consent or who, with knowledge that it has been so taken, receives the credit card with intent to use it, to sell it, or to transfer it to a person other than the issuer or the cardholder. 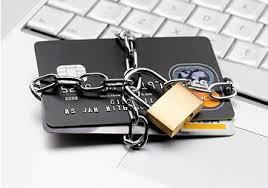 Taking a credit card without consent includes obtaining it by conduct defined or known as statutory larceny, common-law larceny by trespassory taking, common-law larceny by trick or embezzlement or obtaining property by false pretense, false promise or extortion. Contact criminal defense lawyer Jay Arnesen anytime for immediate assistance at 754-581-8782. The initial consultation is always provided free of charge.